Our 7 breeder farms are located around the Mukono area, about 30kms from Kampala. These currently produce up to 300,000 broiler eggs /week and 100,000 layer eggs /week. Current breeds are Ross 306 and Cobb 500 for broilers, H&N Brown Nick for layers. 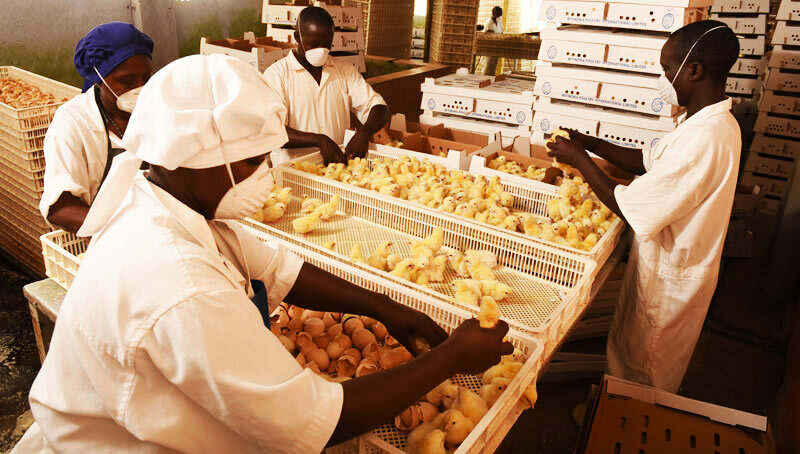 Our 2 hatcheries are also situated in the Mukono area at Kigunga and Kabembe, and have a combined hatching capacity of 1,620,000 eggs/month.